‘Minute & Win It’ is an exciting game made up with challenges using household items. 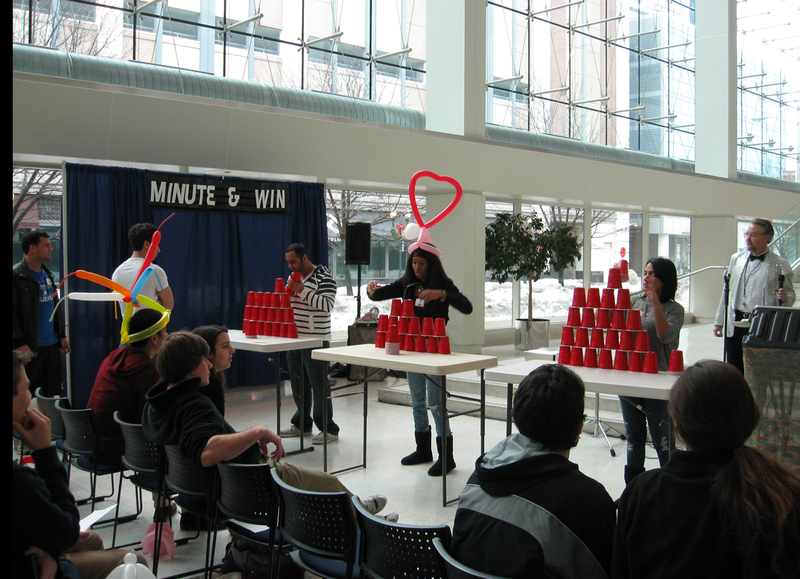 Minute & Win it is perfect for just about any type of party, including private, high school, college, and corporate events. The challenges are exciting, some difficult, but they are all fun to watch!